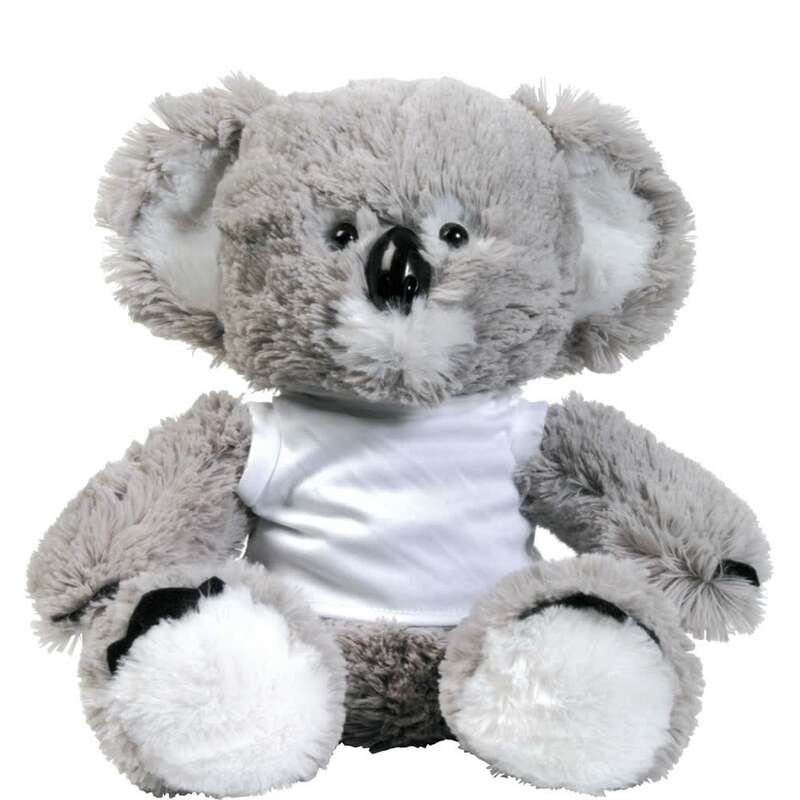 Let this Korporate Koala be the spokesperson that your brand deserves. 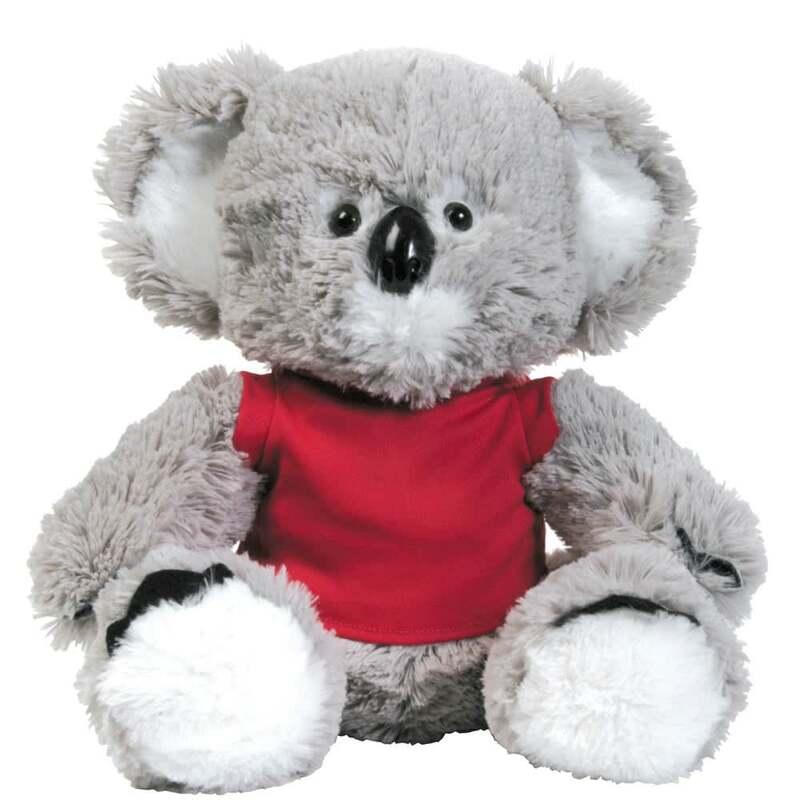 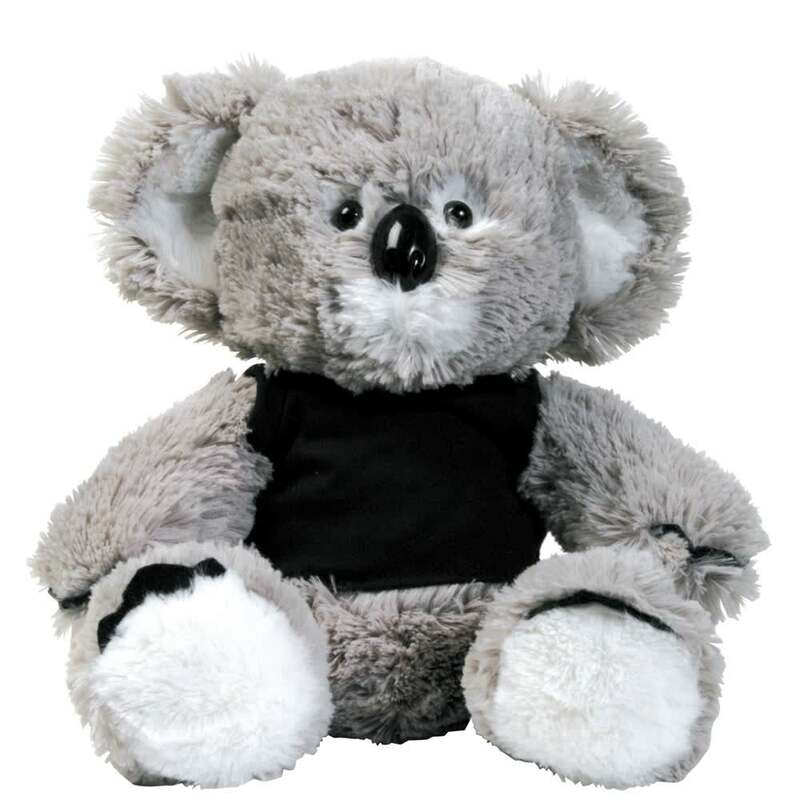 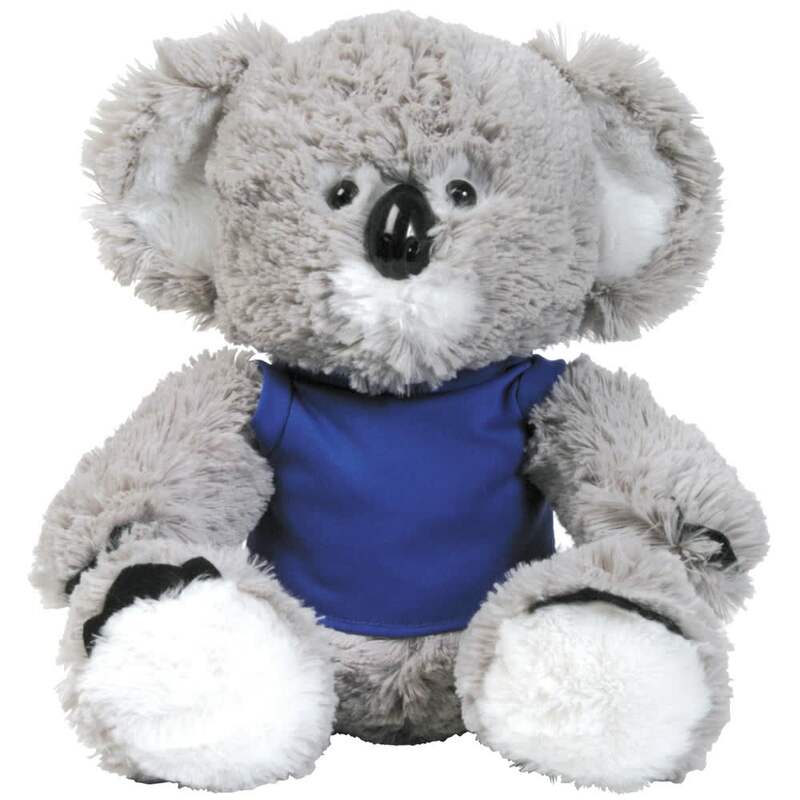 This 280mmH Grey and White sitting koala with black eyes and nose wears a velcro polyester T-Shirt that can be imprinted on with your logo. 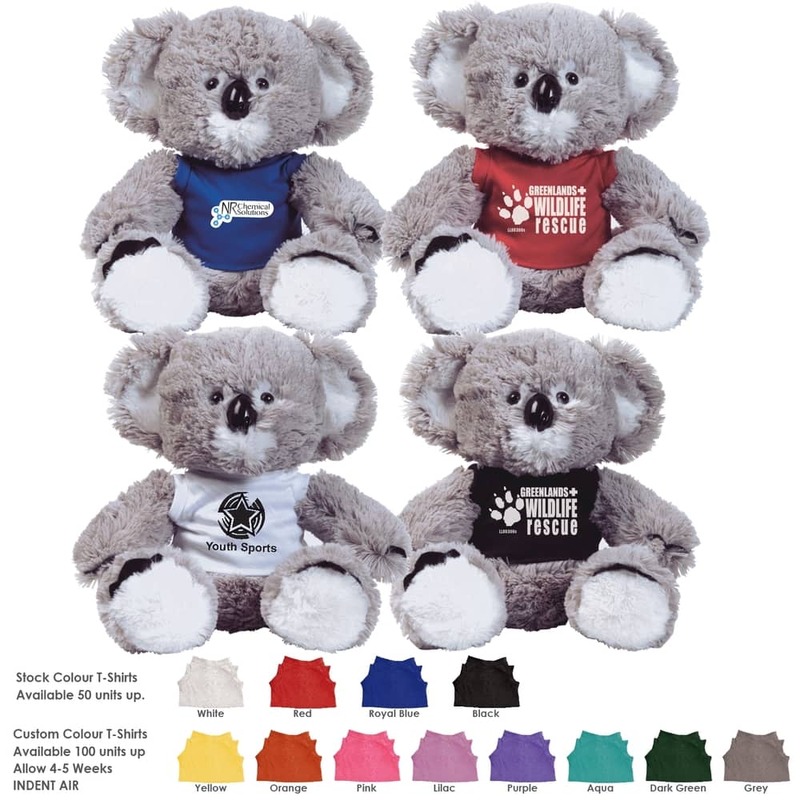 Its outfit is available in blue, red, black or white.